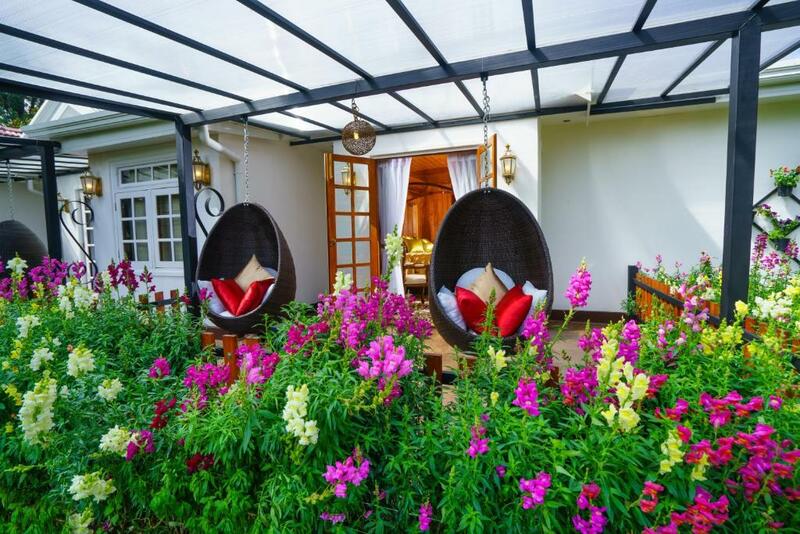 This is a small boutique hotel with tastefully furnished rooms and beautiful garden landscaping, just a little out of the center of town. Staff was exceedingly friendly and went above and beyond to make us happy. They did our laundry free of charge, and the chef graciously made us an excellent avocado salad when we asked him to. If I am ever back in town, I will definitely stay here again. Bed was so comfortable. Modern clean bathroom, even with a jacuzzi too. Private terrace facing a nice trimmed garden. All staff were polite during my stay and services were good. Farhan the receptionist was really welcoming and accommodating. The highlight was the huge breakfast served on the table (I chose western breakfast). The restaurant inside also offer a nice dinner menu. 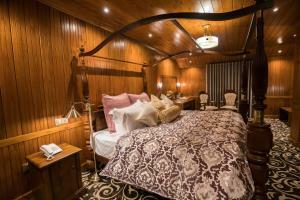 Excellent room and furnishings. Bathroom is exquisite. Food was delicious. Loved this place. 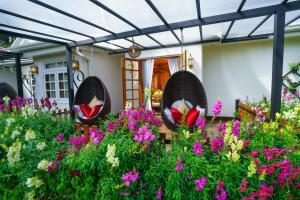 Beautiful Boutique style rooms Rooms inside are highly well decorated, very well attention to detail. It’s was nice experience to stay at this property,starting with nice caring professional employees especially mr. prasanth to all amenities available and fine details in the hotel Definitely I will recommend this place to my friends. The staff was very nice and give us free upgrade. The room was super clean, the view was incredible. I wish I stayed longer. Property is excellently maintained and staffs are really good who took good care of us and specially our infants. Lock in a great price for La Grande Villa – rated 9.2 by recent guests! La Grande Villa This rating is a reflection of how the property compares to the industry standard when it comes to price, facilities and services available. It's based on a self-evaluation by the property. Use this rating to help choose your stay! 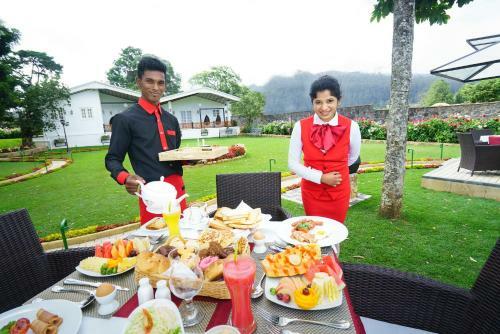 One of our top picks in Nuwara Eliya – and a guest favorite. Fitted with a patio, the units feature a flat-screen TV and a private bathroom with bath. A fridge and electric tea pot are also offered. 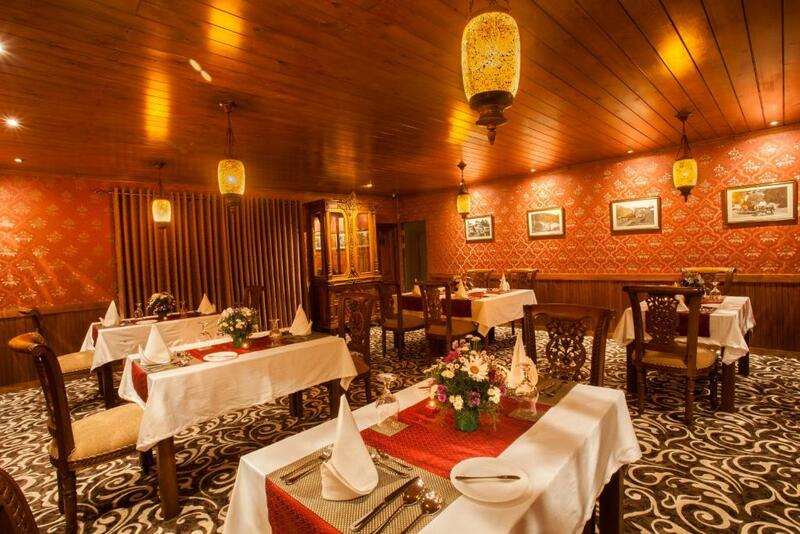 There's an on-site restaurant, which serves a variety of American dishes and also offers halal options. At the villa guests are welcome to use a hot tub. Hakgala Botanical Garden is 6 miles from La Grande Villa. 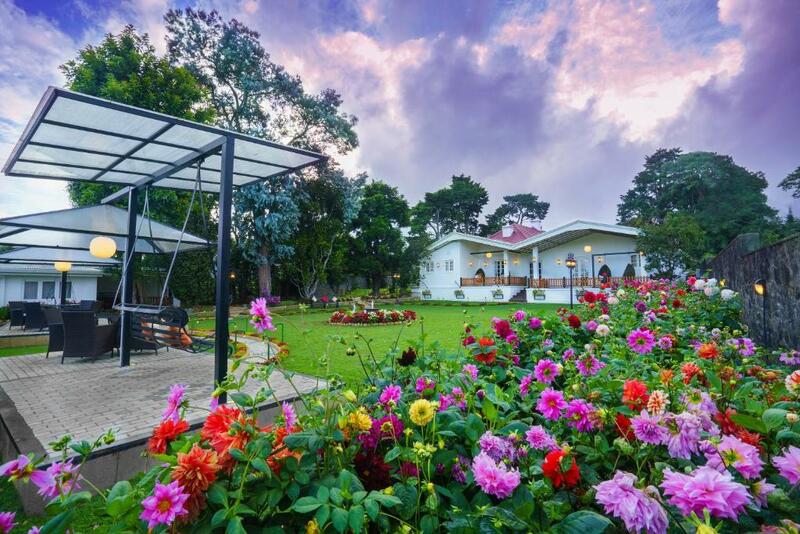 This property also has one of the top-rated locations in Nuwara Eliya! Guests are happier about it compared to other properties in the area. This property is also rated for the best value in Nuwara Eliya! Guests are getting more for their money when compared to other properties in this city. When would you like to stay at La Grande Villa? This family room features a balcony, barbecue and executive lounge access. This double room has a balcony, hot tub and washing machine. 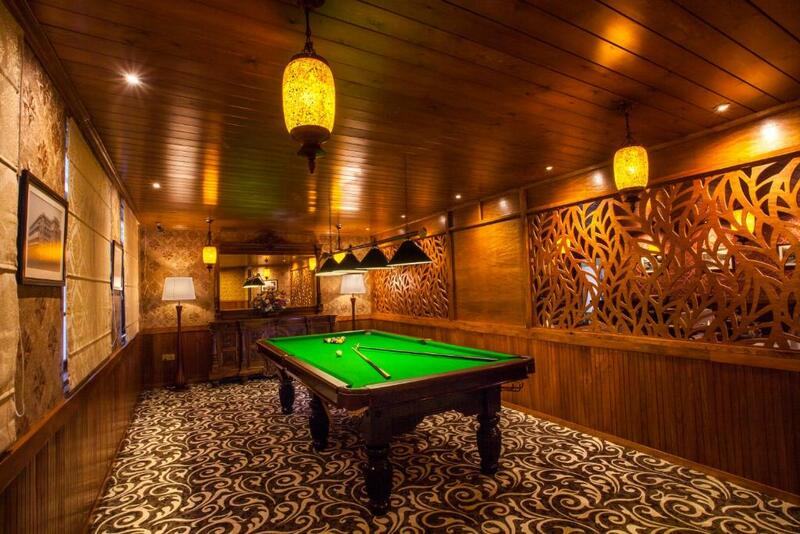 House Rules La Grande Villa takes special requests – add in the next step! La Grande Villa accepts these cards and reserves the right to temporarily hold an amount prior to arrival. Few can give 1.power cut in. Nights which is common problem in Sri Lanka during our trip time. 2. Food is bit expensive..
Amazing place to stay with family.. High class design and comfort in the room. Especially Jaccuzi with music system in bath gives great comfort after your long visit to World end point. Breakfast is completely and available on your wish. We ordered food for dinner also and chef Prakash helped a lot to understand our wish and made very quickly. Arun from the support staff tirelessly working in polite and smiley way. Prashanth managing the property very well. I absolutely love this hotel. The location is great, so close to the city while so seclusive and quiet. The staff is friendly and helpfu. The food is excellent. I love the atmosphere of the room and the garden. Very nice if you are looking for a small plce to stay. Rooms are old fashion, very big, clean. Service was very good. Garden very nice. My mother and I stayed in La Grande Villa last week for 2 nights and couldn’t praise the accommodation, facilities and staff highly enough. We stayed in a number of 4 and 5 star hotels during our visit to Sri Lanka and La Grande was by far our favourite. The accommodation was very clean and felt so homely. The service was also exceptional, no ask was too big for them. We had lunch and dinner there one day which was very good. We couldn’t see what the negative reviews were about and personally didn’t have an issue with the take your shoes off at the door and put slippers on policy. In fact it’s helped to keep the place very clean. We would get a new pair of slippers each time we returned to our villa and would carry our shoes into the room with us as we would be frequently changing the shoes we were wearing, that wasn’t an issue at all. Little personal touches such as having your clothes ironed for you for no additional cost made the overall experience even more special. 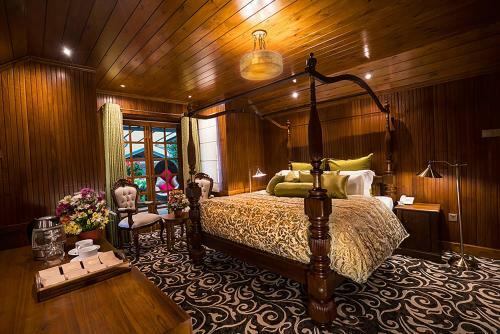 We had a beautiful large room with our own terrace overlooking the lovely garden and would definitely stay here again if we return to Nuwara Eliya. Food served at the restaurant was average. The Western breakfast had a strange mix of eggs with spring rolls and cheese. The Sri Lankan breakfast was a bit on the bland side, probably catering more for the western tourists that can't handle the spice. We also had the issue with our room where gasoline smells from outside where coming in via the vent in the bathroom which left a very strong smell in the bathroom. I didn't have a phone in my room to call reception. I enjoyed the way they welcomed us into the hotel, they catered to my 6 month old baby and also, prepared snacks for my midnight trip to Adam's peak. I wish I had more time to spend at La Grande Villa. PS I'm from Canada and it really went over my expectations. Location is a bit out of the main street and need a little work to find it if you don't have a GPS. I feel the shower cubicle floor is a bit slippery. Too expensive. No really value for money. Stayed in the room close to reception, which gave some noise (telephone callings in the late evening and from the card machine during the night!). The food in the restaurant was fine, but as other reviews state you have to order an hour in advance, as there is only one man to handle the cooking and the menu is (maybe too) large. Nice villa with friendly staff. 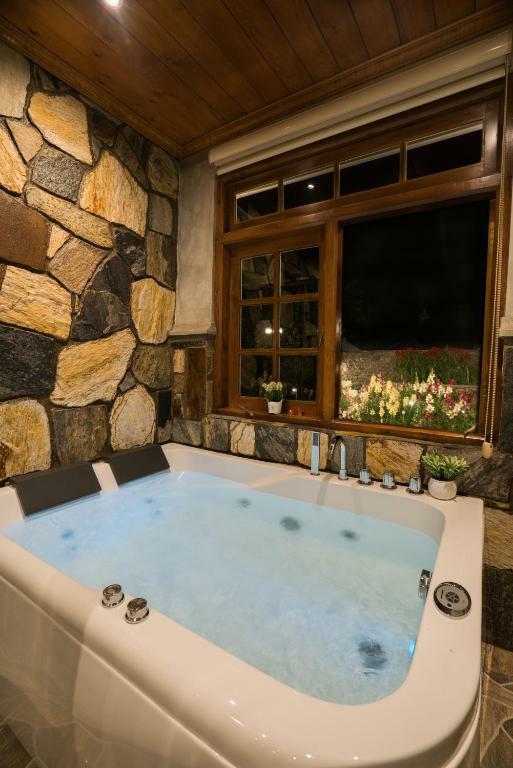 Jacuzzi in the room.